Those heading to Nikiti in Northern Greece can now take their four-legged companions with them for an indulgent vacation in the sunshine. The elegant Danai Beach Resort is offering a dog-friendly package so that guests don't have to leave them either at home or on board their superyacht with the crew during a visit to Nikiti. The hotel offers 'doggy daycare', where the four-legged guests will enjoy plenty of walks and toys, as well as a gourmet food menu, to be served alongside pure spring water in a crystal bowl. For those guests who would prefer their dog stay with them in their suite, sleepovers can be organised, which includes a dog-friendly turndown service, featuring daily treats. A luxurious dog bed will also be provided, both in the suite and by the pool, and if you're headed off for a spa treatment, there's a treatment menu for Fido too. 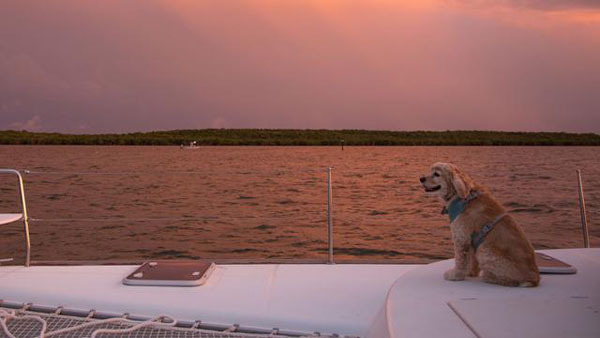 Additionally, dog-friendly day trips are available, including luxury catamaran rides where your pooch will have a special menu of treats, a cosy bed and an exhilarating cruise atop the Aegean Sea, so you can explore this beautiful part of Halkidiki with man's best friend. Superyachts up to 55 metres can moor at Porto Carras and either tender to the small Nikita marina or take a private car 35 minutes from your yacht to the resort, which is open from mid-April to late September. Other dog-friendly luxury hotels include the Cap Estel in èze on the C?te d'Azur, where you can enjoy fine dining with your pup, and L'Andana Hotel & Spa in Tuscany, where dogs stay for free.